The blog is still abandoned, but here's my "Year in Cities" post anyway. The trip to DC/Baltimore was the travel highlight of 2014. 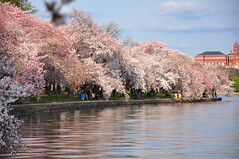 We had beautiful spring weather and the cherry blossoms were in full bloom around the capital. 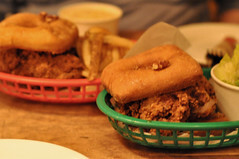 Food-wise, we stumbled upon GBD near the Dupont Circle subway stop, where we ordered the Luther: a Fried Brioche Doughnut Glazed in Maple-Chicken Jus, with Buttered Pecans, Slab Bacon and a Fried Boneless Chicken Thigh. Completely insane. We've recreated it at home a couple of times. 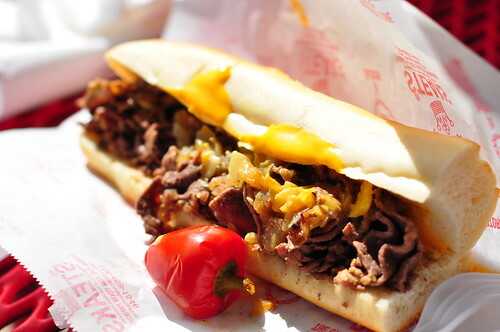 We took a side trip to Philadelphia, where I was mocked for ordering my cheesesteak "wit Whiz" instead of Provolone or real cheese. Hey, it's tradition! Previous years: 2007, 2008, 2009, 2010, 2011, 2012, and 2013. What's on your 2014 list? Even though the blog is mostly forgotten and abandoned, the least I can do is my annual recap and "Year in Cities" post. Let's see. 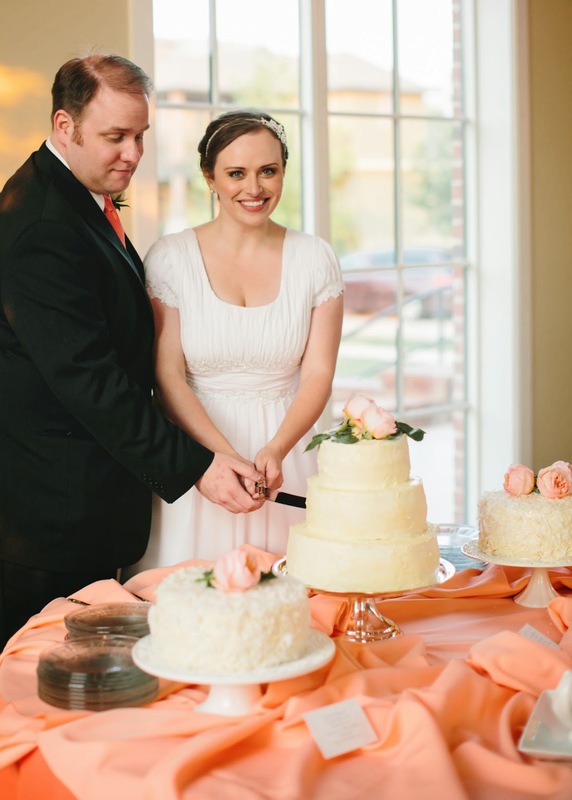 When last we talked, I mentioned that I was making wedding cake(s). So that happened. 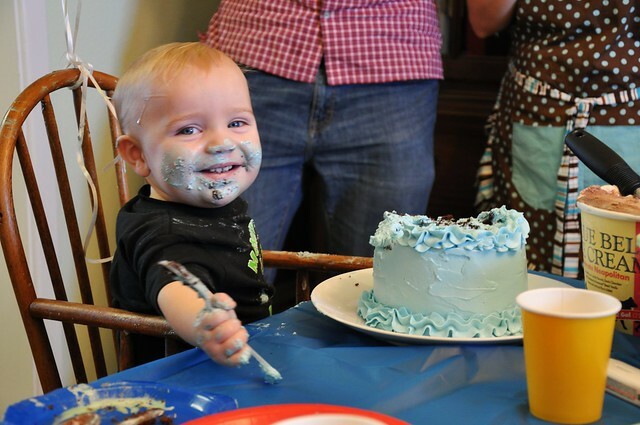 I also made a birthday cake for a handsome one-year-old nephew. 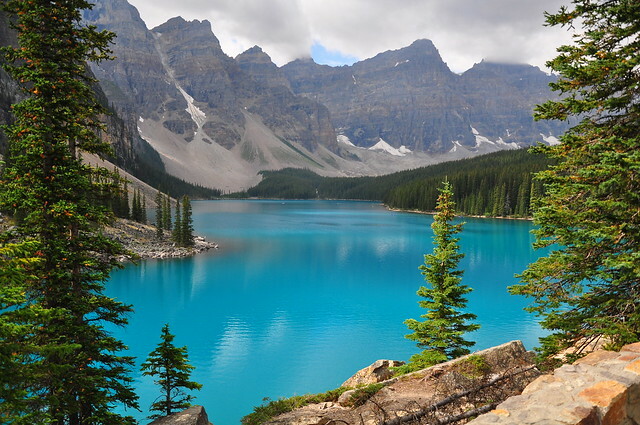 I went honeymooning in the Canadian Rockies. Simply amazing. 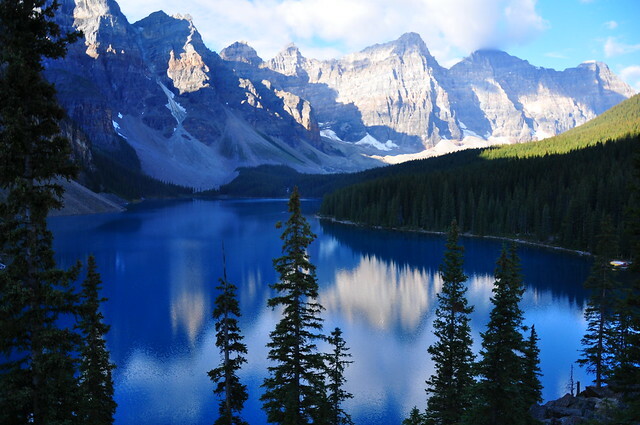 Here are 2 of my favorite photos of Moraine Lake. I spent the last months of the year after the wedding carbo-loading on homemade bread and German food (so many potatoes!). We almost perfected our rye bread recipe. And I say we did perfect our sauerbraten and beef rouladen recipes. Once again, Mr. R and I spent our New Year's Eve at Sitka & Spruce. This year they served a special New Year's Eve dinner. My tolerance level for eccentric tasting menus must be decreasing. I think someone just made up words on the menu--geoduck, smelt, acorn cookies, sea beans, spruce salt, fried birch leaves. That's not real! We planned to watch the Space Needle fireworks show, but an unfortunate fog rolled in at 11:30 and it wouldn't budge. From Capitol Hill, we could see distant flares that may or may not have been fireworks. Previous years: 2007, 2008, 2009, 2010, 2011, and 2012. What's on your 2013 list? And for chocolate abstainers, there will be a Lemon Ricotta Cake filled with berries and lemon whipped cream. Mr. Right might have preferred someone else make his wedding cake, but I felt it would be a personal contribution I could make to the dinner. 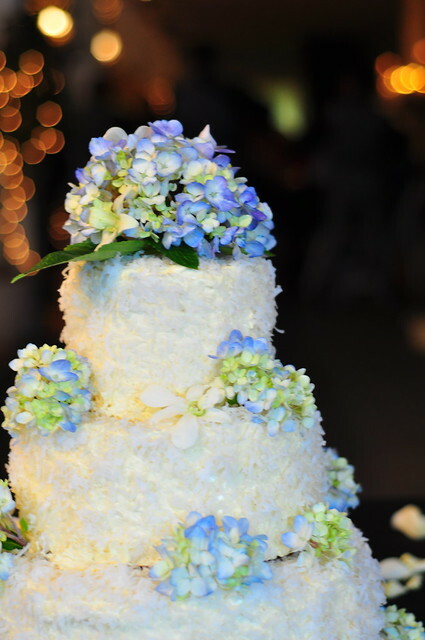 And besides, have you priced wedding cakes lately? I believe I found something that Mr. R and I can disagree about: I use ketchup in my Chicken Marsala. Horror of horrors! To my credit, it's not Heinz ketchup I use, and I still think a couple of teaspoons' worth of ketchup is better than opening a can of tomato paste, but nevertheless... I also wanted to buy pre-sliced white button mushrooms and he wanted bulk portabellas that he would slice himself. I've been outgunned. The man also makes a mean Caprese Salad, hunting for heirloom tomatoes and the good balsamic. I think I'm in love. 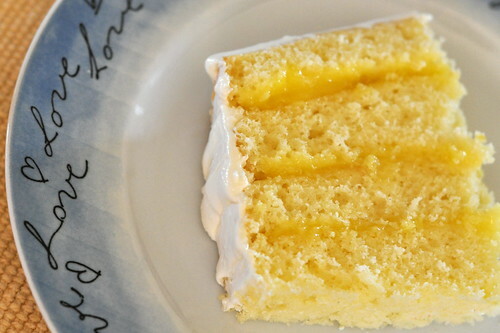 One thing we can agree on is our fondness for lemon desserts. Of late we've made two recipes with Meyer lemons, mousse and sherbet. The sherbet was just right, with just enough sourness to wake you up and a perfect creamy soft texture. Process zest, sugar, and salt in food processor until damp, 10 to 15 short pulses. 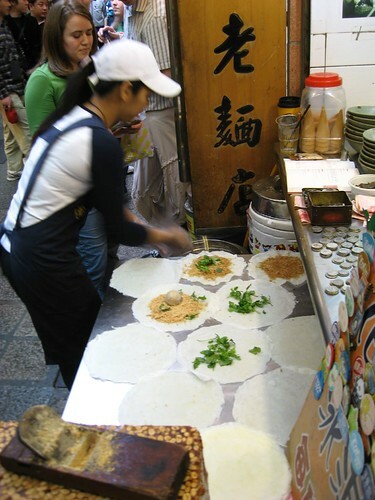 With machine running, add lemon juice/water mixture in slow, steady stream. Process until sugar is fully dissolved, about 1 minute. Strain mixture into medium bowl (I skipped this step because I don't mind the zest) and stir in Grand Marnier, if using. Chill until very cold but not frozen. When mixture is cold, whip cream in medium bowl until soft peaks form. Whisking constantly, add juice mixture in steady stream, pouring against edge of bowl. Immediately start ice cream machine and add juice/cream mixture to canister; churn until sherbet has texture of soft-serve ice cream, 15 to 25 minutes. Transfer sherbet to storage container; press plastic wrap directly against surface of sherbet and freeze until firm, at least 3 hours. 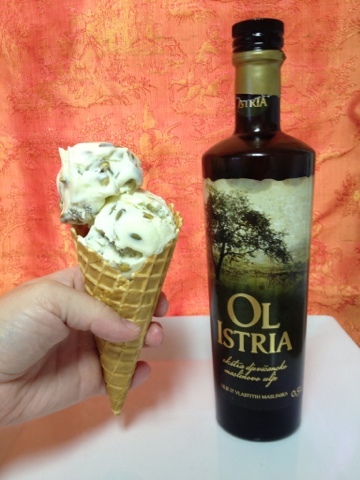 In new foods this year, I discovered and developed many ice cream recipes. Among the most interesting: Bangkok Thai Peanut, Chocolate Cayenne, and Olive Oil. I attended a 3-day chocolate candy making class in Chicago at the Callebaut Academy. While in Chicago, I ate at Alinea, rated by some sources as the best restaurant in North America. 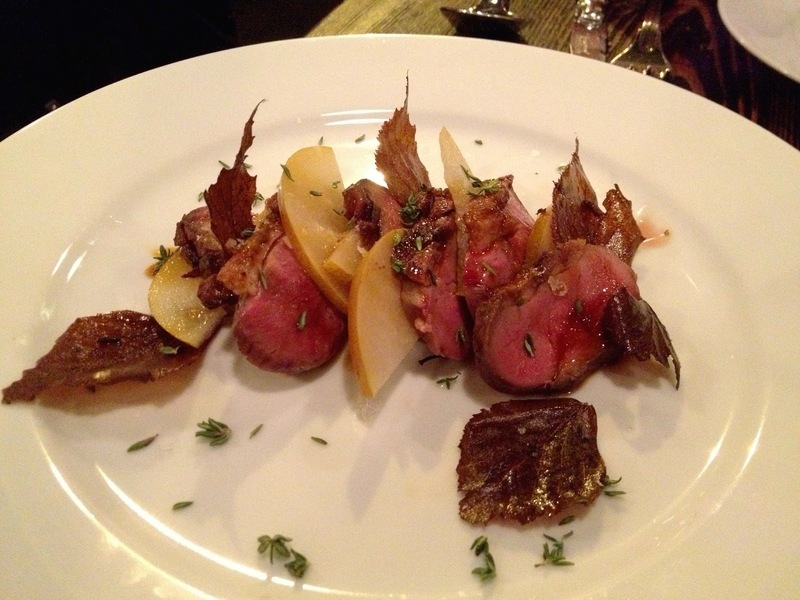 I spent New Year's Eve at Sitka & Spruce with my gentleman friend. Once again, we walked off in the wrong direction and couldn't locate the restaurant immediately. Seated at our table, the view was now blocked by an unfinished multistory building that had been constructed in the last 5 months. How things have changed! But we had a lovely and romantic dinner. 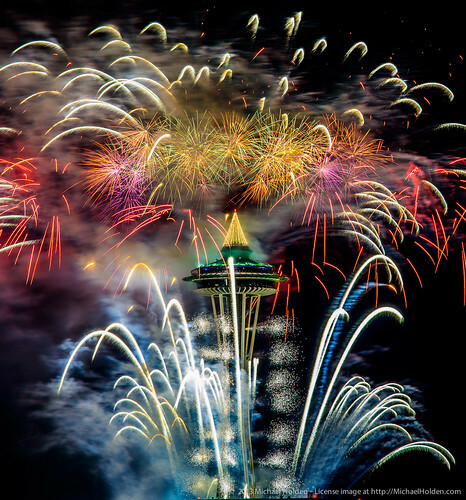 Afterward, we watched the Space Needle fireworks show from Capitol Hill with drunk hipsters. Previous years: 2007, 2008, 2009, 2010, and 2011. What's on your 2012 list? I went to Seattle at the end of July. There were plenty of places to eat on my wish list of to-do's as Seattle has quite the food scene. Lately, I've decided a good way to choose restaurants is by looking at the list of James Beard Award winners. 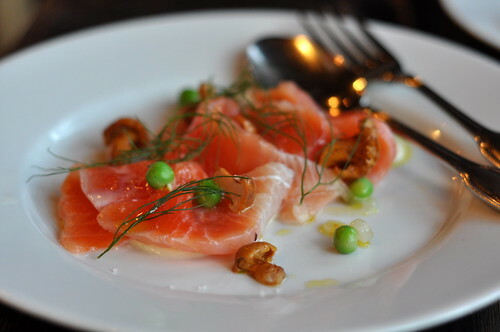 Local Seattle chef Matt Dillon was a 2012 winner, so his restaurant, Sitka & Spruce, moved to the top of my list. I had Friday night dinner reservations with a hot date - we'll call him Mr. Right until I can think of a better pseudonym. Sitka & Spruce is located in Melrose Market, and in classic Kimberly form (brain-dead), I couldn't tell exactly where to enter, so I walked around the perimeter of the whole building trying to figure it out. Eventually we made it in. The restaurant was fairly small, with only a few tables, and an open kitchen. The décor was very Northwest, unfinished wood, brick, exposed ceiling beams, etc. The big windows provided a nice view of the bright evening. Everything was plated beautifully. See gratuitous food photos below. 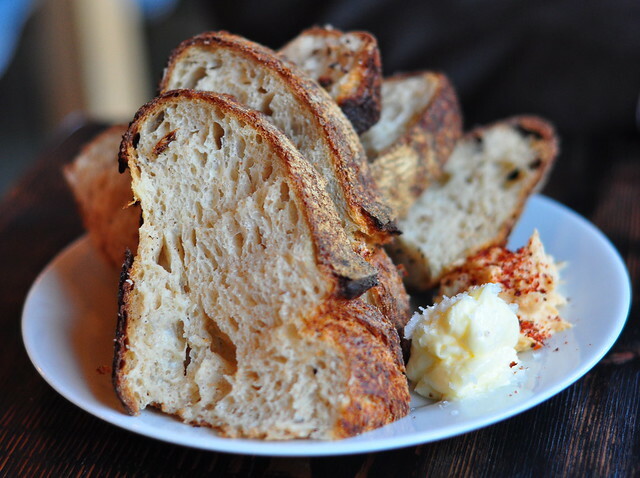 We began with slices of sourdough bread baked at The Corson Building in Georgetown, accompanied by lovage butter with sea salt and salmon mousse. The mousse was quite good, but the butter was better. Next we had Saucisson D’Alsace Salami from Olympic Provisions. I think this was Mr. R's favorite course. Not sure why I don't have a picture of it. The next course was my favorite. 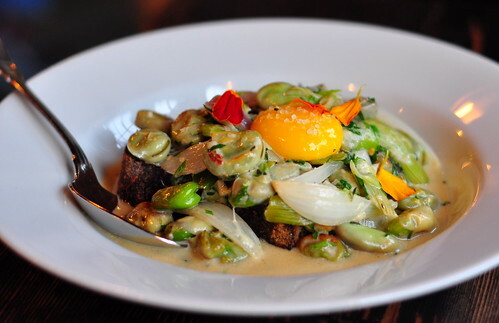 It was some sort of amazing delicious roasted fava beans topped with an egg, salt, and edible flower petals. Underneath was a piece of toasted sourdough, and the sauce had a distinct Thai flavor, perhaps some sort of coconut milk curry. The next course of Neah Bay king salmon, shelling peas, and summer chanterelles was adequate, though a slight let down after the incredible fava beans. 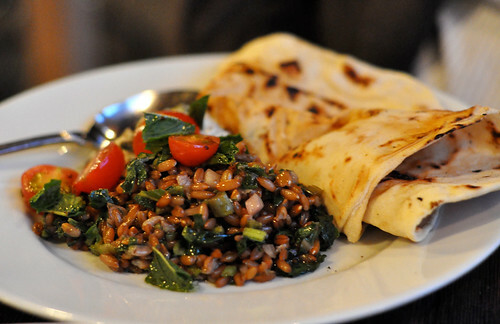 The last course was on two plates, the first, a Barley salad with heirloom tomatoes, some sort of creamy, tangy dressing on the side, and flatbread. The other plate, roasted pork, dandelion greens, and peaches. 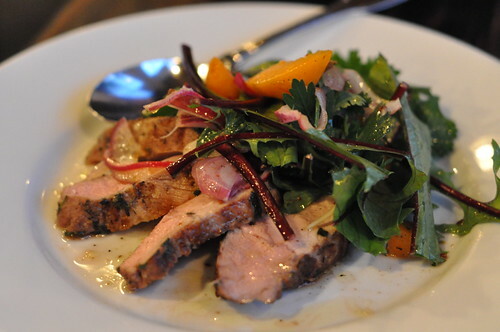 The dandelion greens were beautiful, though bitter, but the pork and peaches were perfect. Mr. Right was quite charming. Holding his hand across the table and discussing the food made for a perfect evening. Update: The Amateur Gourmet listed Sitka & Spruce on his list of romantic restaurants: http://www.amateurgourmet.com/2012/10/where-do-you-escape-for-a-romantic-dinner.html. This just happened. Yesterday, as I was driving home from work I heard a story on NPR about French bakeries using frozen croissant dough instead of making croissants from scratch onsite. Croissants are like the Tolstoy novel of recipes, long and laborious, with many tedious steps, ingredients that must be at the perfect temperature, waiting time for chilling and proofing and baking, etc. No wonder bakeries want to outsource the labor by purchasing and selling “industrial croissants.” I find it impossible to believe that anyone who’s tasted French pastries made from scratch by artisans could be fooled by these imposters. 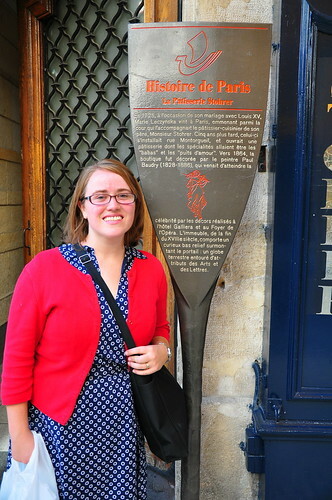 This story made me think back to my visit to Paris last October. Pastries in Paris pâtisseries were displayed in the storefronts like beautiful jewels. We left our hotel in the morning and strolled up the neighboring block to Au Levain des Martyrs for a petit-déjeuner. “Bonjour!” Then I did my best to order a pain au chocolat and an almond croissant. Even basic words like those still required some pointing and apologies. I handed over a couple of Euro coins as payment, smiled, “Merci.” Then we walked to the metro stop at Notre-Dame-de-Lorette to catch a train to the museums. In the evening, we stopped at Stohrer at 51 Rue Montorgueil. 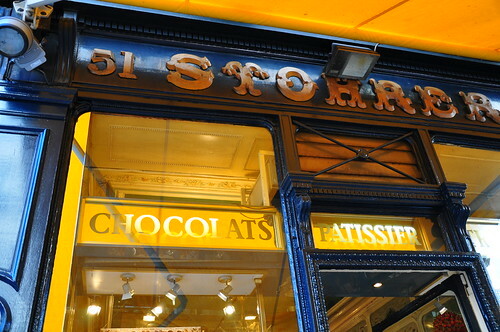 Stohrer was open in 1725 when Marie Leczynska, queen and wife of Louis XV, wanted babas and puits d'amour (wells of love: canelle shell filled with vanilla pastry cream). It's one of those places that has probably been using the same sourdough starter since Napoleon was in power. Their display cases of pastry were filled with beautiful selections. 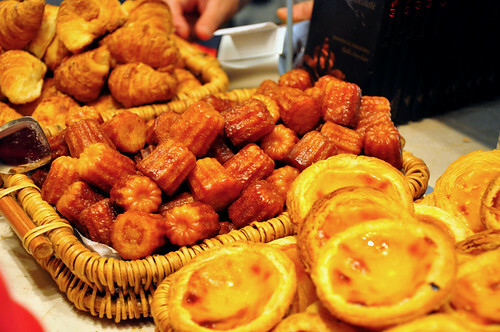 They also had baskets of croissants and canelés, and jars of jellies. and Le Mille feuilles caramel (une délicate pâte feuilletée, une crème légère pâtissière, le dessus caramélisé ou bien au sucre glace, selon votre goût). And good luck trying to say mille feuilles well enough that a French pâtissier can understand you. Despite practicing, I still drew a confused look from the lady waiting on me. With pastries in hand, you may want to seek out a park bench on which to sit and enjoy the delicious treats, or you might want to eat while walking around the corner to G. Detou. 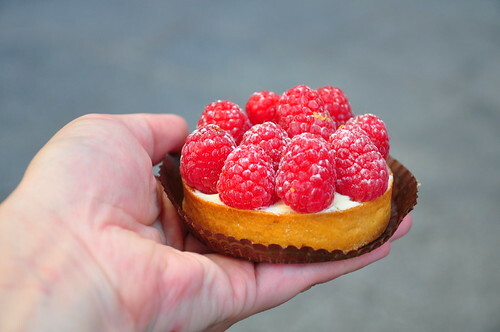 As David Lebovitz said, it is truly pastry paradise. I'm still kicking myself for not buying more French chocolate and Madagascar bourbon vanilla beans. I've never seen any vanilla beans as long, moist, and plump, but still reasonably priced. Or there are always the iconic Paris sites, that you may have thought were cliché, but in fact deserve all their adoration. 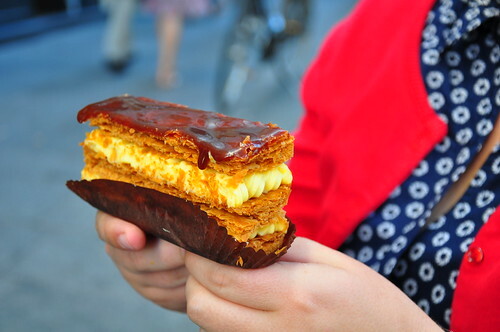 I recommend you and your pastry visit the Eiffel Tower at dusk. It will be beautiful as the sun's setting, and after nightfall, the tower sparkles on the hour, which is completely magical. My secret, or perhaps not so secret, favorite dessert is ice cream. People that find out I like to make desserts always ask what my favorite is. I usually say cakes, because few people make good layer cakes from scratch these days and when made correctly, they're a showstopper. But my favorite dessert may just be ice cream...even more so as summer begins, the weather heats up, and a cold dessert sounds heavenly. I was in Columbus, Ohio at the beginning of the month, and the eatery I most wanted to visit was Jeni's for ice cream. Some of the more intriguing flavors were The Milkiest Chocolate in the World, Salty Caramel, and Goat Cheese with Red Cherries. The first time we went (I had to go more than once!) I got a scoop of Salty Caramel and one of Dark Chocolate. On the second visit, I tried The Buckeye State (peanut butter with dark chocolate bits) and Queen City Cayenne (spicy milk chocolate). I decided to order Jeni's award-winning book, Jeni's Splendid Ice Creams at Home, and cook through the book this summer. In truth, it will probably become a year-long endeavor, which is good because she organizes the recipes into Spring, Summer, Autumn, and Winter flavors. The first thing I noticed about her recipes is that she doesn't use a custard base, instead she uses tapioca starch and cream cheese to create a thick and creamy texture - mind blown! For my first magic trick, I made Bangkok Peanut ice cream, a spicy peanut ice cream with peanut butter, both coconut milk and toasted coconut, honey, and cayenne. Jeni compares its flavors to those of Pad Thai. I made mine with jalapeño peanut butter and Alaska fireweed honey. This flavor had a simultaneous spicy and cooling sensation - mind blown! again - that caused my guests to ask for a drink of water. To me, it was perfect. I ate a scoop. Then another. Then when the ice cream was gone, I poured milk into the container to wash out every last drop for myself. 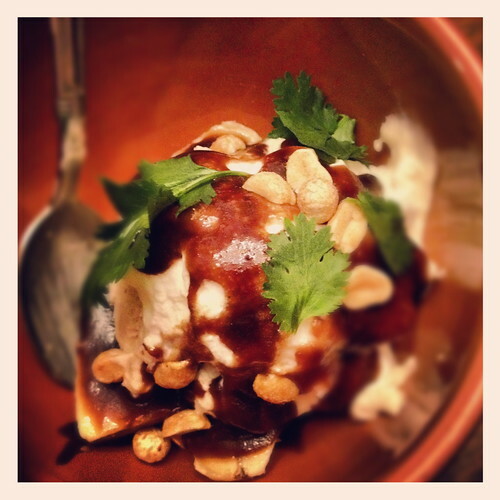 I went a little further and made the "One Night in Bangkok Sundae," with scoops of Bangkok Peanut, sliced bananas, praline sauce (cream and dark brown muscovado sugar), peanuts, whipped cream, and cilantro. Maybe your mind was just blown by the concept of cilantro in the ice cream sundae, but for me this was not without precedent. 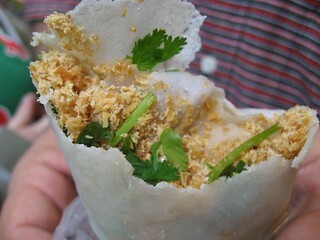 At a street market in Taiwan, they sold ice cream, not in a cone, but wrapped in a thin, tortilla- or crepe-like pancake, that was also filled with peanut brittle shavings and cilantro. Those Asians sure do know their ice cream. Wait! Something else we saw in Taiwan. Mind blown again. (I promise to never ever use that phrase again in my blog.) Bangkok Peanut Ice Cream recipe online here. Tonight I went to the grocery store and bought scallops, barramundi, mango, and papaya. Can you tell I miss Australia? Some of the foodie highlights we found Down Under were meat pies, kebabs, TimTams, tropical fruits, pavlovas, lamingtons, mud crabs, octopus, and kangaroo. 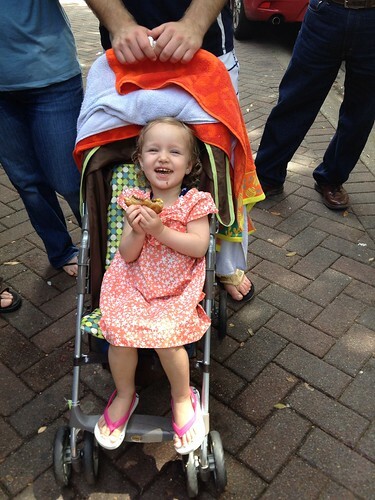 Nancy heartily approved of the meat pies. Oh, and there was brekkie at Bourke Street Bakery. Macadamia & Honey Sticky Bun, Pain au Chocolat, Rhubarb & Pear Danish, and a Chocolate Tartlet. Don't judge me. That was shared amongst 7 people. Tonight I tried scallops with a Thai sauce following this recipe. For the sauce, I used a macadamia nut oil from where else but Queensland? By the way, that video is a little over the top, but they don't exaggerate too much. 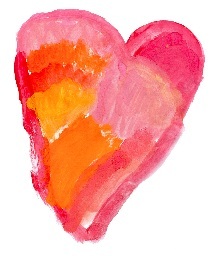 I didn't write about my Valentine's Day festivities yet. After the pantry purge of 2012, I had a lot of old chocolate to throw out. Lots of Hershey's Kisses that were pushed to the far reaches of the cupboard and some Baker's chocolate that also ended up in the dark corners - neither fit to eat nor bake with. That stuff could go straight to the dumpster. Or it could go to the dumpster covering whatever else was headed for the dumpster. If you didn't follow that, you wouldn't be alone. After a lot of "Why would you waste chocolate like that?" questions, a few people came over for a night of chocolate covered anything! They brought random non-edibles for us to cover in chocolate. My old T-ball trophies were going to look so much cooler in chocolate. Some of the items we dipped were necklaces, light bulbs, CDs, and Texas-shaped stuff. My personal favorites were the copy of Twilight and a hubcap. Beauty and brains can go together, but you won't find either one here. I didn't get here on my brains... Or my looks. I had to buy my way to the top.